Some things to consider when buying a pre-owned boat. Are you thinking about buying a pre-owned boat? Are you worried your going to be lied to and sold a boat that doesn’t work? How do you know if the boat will run properly? How do you know your investment will not go to waste? These are all questions many people ask themselves when buying a pre-owned boat. Sometimes, the cheapest deal is not the best deal. 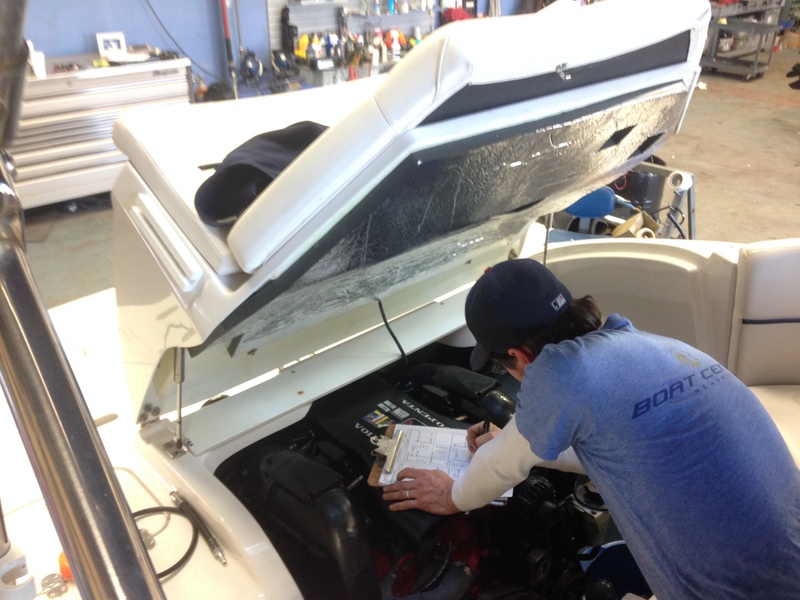 Here at Memphis Boat Center we go through a rigorous inspection process to be sure we are offering quality at a good value. That being said, Today is your lucky day! In this weeks blog, we will share with you the things to look for in a used boat to make sure that your investment is worth every penny! We break our inspections into Six different categories; Exterior/Interior, Powertrain, Instrumentation, Compression Test, Trailer, and finally the Lake Test. Lets define each category for you and tell you what to look for. Lets break it down! Decals- are the decals in good shape? Hardware exterior- is the boat missing any bolts, screws, rivets, etc. Windshield- are there any cracks, missing parts, etc. Platform- is the platform in good shape, will you have to replace it, or re-cover it. Underwater gear- is the underwater gear in good shape? Is the prop shaft straight? Prop true? Any sign of impact? Carpet- Is the carpet clean, missing snaps, mildewed, or nasty? Engine Model- is the boat properly powered for its size? Belts/Hoses- are they tight? dry-rotted? in good shape? Oil Level- is the oil level good? is it clean? Any leaks? Oil condition can be a good indication of how a boat has been maintained. Alternator- check the volt gauge, is the system charging properly? Starter – does the starter work properly every time? Run at idle. make sure idle is a good constant RPM. Do you hear any abnormal sounds in the engine? All cylinders firing? Steering- does the steering work properly and with the proper resistance? Throttle-does the throttle advance smoothly? Fire Ext- required equipment. Is it present and charged? Fuel Gauge- does the fuel gauge work, mark the proper amount of fuel? Temp Gauge- does the temp gauge work? Volt Gauge- does the volt gauge display the proper voltage? Blower- does the blower work? Bilge Pump- does the bilge work? can you hear it running? Nav Lights- do both the navigation and anchor lights work properly? Stereo/Speakers- does the unit power up? does the remote(s) work? do the speakers work? tower speakers? are the speakers blown? A good indicator of the health of an engine is the cylinder compression. It can indicate a problem that may not yet be noticeable under normal operation. To perform this test the spark plugs are removed and a pressure gauge is hooked to each cylinder, one at a time. The engine is turned over and the max pressure is marked. While checking this, inspect the side of the block for cracks. Do the same for the manifolds. Heater- some boats have heaters, does it work properly without leaks? Shower- some boats have shower hoses. does it work? is it a hot shower? Ballast System- do the tanks fill and empty? no leaks? is the ballast hard or soft? Speedo- does the speedo work properly? Bearings- is the trailer road ready? greased bearings? Are they tightened to spec? Lights- do all the lights work on the trailer? Is the light hook up in good shape? Tires- how old are the tires? cracks? tread? Spare- does the trailer have one? condition? Winch- is the winch in good shape? Is the strap intact and strong? So now that you have finished checking every part of the boat, what did you find? Is that really cheap deal still worth the money, or are you going to have to invest more money into the boat. While not an all inclusive list, each one of these bullet points can require a repair and money out of your pocket. Are the fixes something that Mr. Fix it can do or are you going to have to take it in to get serviced? Is this boat going to run right out on the water, give you peace of mind, or make awesome memories? Will it break down constantly, will have to keep fixing things on it? Whether from an individual or a dealer if you follow our rigorous checklist and get down and dirty, you will be able to see what is a great deal and what is just not worth your money. If this sounds exhausting to you you can leave it to the experts. 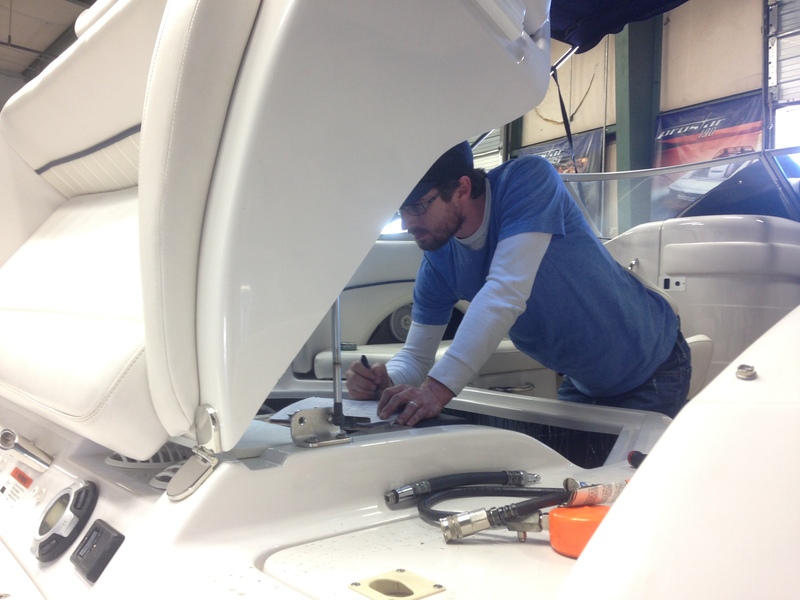 We specialize in pre-owned boats and would love the opportunity to find the right fit for you and your family.